Every man wants to boost nitric oxide. I mean what's not too like? It increases blood flow, relaxes arteries, lowers blood pressure and, most importantly for most of us guys, makes an erection possible. But there is a big problem that Dr. Nathan and his co-author Carolyn Pierini lay out clearly in this book: not of all us can make our own nitric oxide via the normal route. 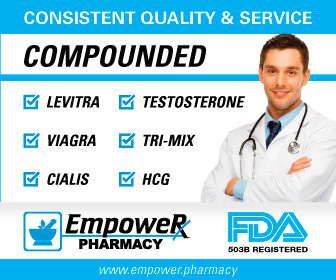 Viagra, Cialis and Levitra all work on the enzyme (NOS) in our endothelium, the lining of our arteries, to allow nitric oxide to last longer or "build up". So what happens when we get arteriosclerosis? Well, most of us in the developed world know darn well what happens: we lose much of our ability to produce nitric oxide and our blood pressure and erections suffer because of it. How can the lining of the arteries pump out nitric oxide when they are injured and covered with layers of plaque from decades of abuse? That's a good question and the answer is that they can't. In fact, when it gets bad enough, the blockbuster PDE5 Inhibitors do not work. (There are other reasons: see my link on Viagra Failure for more information. So what's a fella to do? Nathan Bryan points out the answer: high nitrate foods and supplements. Yes, Mother Nature left an escape route for us middle-aged and beyond guys. These high nitrate foods bypass the normal pathway and can supply us older guys with a nice dose of nitric oxide even with damaged arteries. Let me say that again in case you didn't catch it: you can have significant arteriosclerosis and still give yourself a decent dose of nitric oxide with beets and other high-nitrate foods. Beets can improve blood flow and lower blood pressure in such men as well. This is very good news and Dr. Bryan calls it nature's backup plan for arterial health. Now I do want to say that, realistically, this is not going to produce a "Viagra-like" effect for most men. Nitrate foods are potent but not that potent. However, I have observed that they seem to have a healing effects when used over the days and weeks that the PDE5 Inhibitors just do not have. Remember: even though nitric oxide is a free radical, Beet the Odds goes into great detail about how beets have incredible antioxidant and anti-inflammatory powers. In other words, beets can actually slowly heal your arteries. NOTE: I also have previously given some coverage to the studies involved in my link on The Power of Beetroot Juice. And I cover the importance of nitrates (and many other phytochemicals) to blood flow in my book The Peak Erectile Strength Diet but Beet the Odds discusses just how powerful nitrates are on their own. For example, how fast can you expect a boost in NO coming from beetroot juice or any other high nitrate food? It lowers blood pressure within an hour and continued up to 24 hours afterward! Yes, pour out those testosterone-lowering beers and and drink a true Love Potion made from beets (along with some Pomegranate Juice while you're at it). CAUTION: If you have any medical conditions or medications, discuss with your doctor before taking high nitrate foods (or any major lifestyle change). Dr. Bryan also describes in detail the pathway for creation of nitric oxide through the stomach and tongue and lists the foods with the highest nitrate content. The way it works is that after you eat some nitrate-laden food, the nitrates make into the blood stream and back up into the saliva. Bacteria on the top of the tongue actually convert the nitrates in the saliva into nitrites, which in turn gets converted into nitrities. So, practically speaking, I do not brush my teeth for an hour or two after eating beets or other high nitrate foods. The reason is that toothpaste has a (rather nasty) chemical in it that is designed to kill the bacteria in your tongue. I don't want to do anything to short circuit this nitric oxide-building process. (I am not saying you should not brush your teeth, especially since gum disease is associated with heart disease. See my link on The Dangers of Toothpaste for more examples. Now I mention this specifically, because this is SO critical for many of you middle-aged guys. I have always eaten a lot of high-nitrate foods (spinach, celery, carrots) but haven't really focused on this as an actual major strategy to get my nitric oxide levels up. I noticed immediately the impact. For example, my blood pressure has been a solid to about 115/70 after adding beets into my diet. For some additional details, see my link on How I Lowered My Blood Pressure to Teenager Levels. Again, I highly recommend this book. Beets also have strong potential to help with athletic performance as well and Dr. Bryan discusses this at length. Again, this is a book that can make a huge difference for men struggling with erectile or blood pressure issues. For details, see Beet the Odds by Nathan Bryan on Amazon for more information.